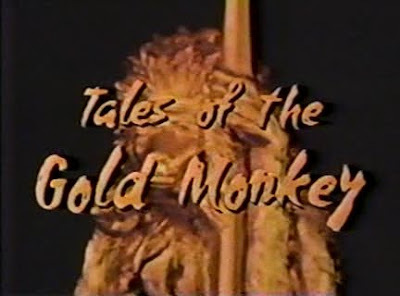 I remember watching Tales of the Gold Monkey in its weekly Friday night timeslot, but usually only half-paying attention to it, as I would usually be simultaneously perusing that week's purchases from the comic shop. At first, only the theme song made any real impression on me. But, then, about halfway through the season, they did an episode about Corky failing to repair a critical problem on the Goose because he was drunk, and vowing to change his ways to make amends. That massive infusion of characterization turned my opinion of the show around, and from then on, I gave each episode my full attention. Thanks for the retrospective, John, and I agree that someone should release a DVD set. I loved this series back in the day, and would love to see it again now, on DVD, to see how it holds up. All my memories are affectionate, and I'm sure that today I would recognize many more allusions to classic Hollywood. That is great news! Thanks for the update!